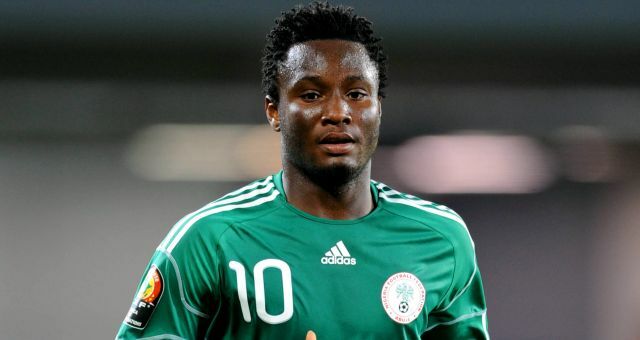 The announcement by the Minister of Sports and Youth Development, Barrister Solomon Dalung that John Obi Mikel is captain of Team Nigeria to the Rio Olympics, has raised a lot of dust in Nigerian sports circles. Immediate past spokesman of the Nigeria Olympic Committee, Tony Nezianya who is a Director at the News Agency of Nigeria expressed concern on the choice of Mikel, saying that the Super Eagles captain is a newcomer to the Olympic family and therefore, not qualified for such a revered position in the team. "I must tell you that I find Mikel's appointment controversial. He has just come into the team and there is Segun Toriola, a veteran of the Games, who is breaking an African record of having attended the most number of Olympic Games. With Rio Olympics, he will be making his seventh consecutive Olympics. He should have been given that honour with the captaincy of Team Nigeria instead of creating an unnecessary controve-rsy." Nezianya said the decision to make a footballer captain of Team Nigeria was fundamentally wrong. "Mikel was brought in as an overage player who happens to be the captain of the national team. They should have let him play his game quietly, not as captain of Team Nigeria." The former NOC media officer refused to elaborate on whether the minister was right to appoint the team captain or if it was the function of the Nigeria Olympic Committee. "The NOC and the Ministry of Sports work as partners. Matters like that are discussed behind closed doors before such announcements are made. I am not competent to say anything on this because I do not know whether the minister and the NOC agreed before the announcement." Another journalist, Ganiyu Oloyede reacted this way, "When I saw the release I thought that he was named the captain of the dream team. Haba minister! A player who refused to play in Beijing Olympics when we needed him most. I don't think he deserves that responsibility." Basketball coach, Adeka Daudu said, the choice of Mikel underlined the poor judgement of sports administrators in the country. He buttressed his argument with a quote from the Holy Bible: "God said in the Bible, that my people perish for lack of knowledge. May it not be our portion". Another Nigerian sports enthusiast, Simon Olajide was angry and in his reaction, he called for the immediate removal of the Sports Minister. Said he, "We need to change our minister of sports, the man knows nothing about sports. Let's join hands and change the man."